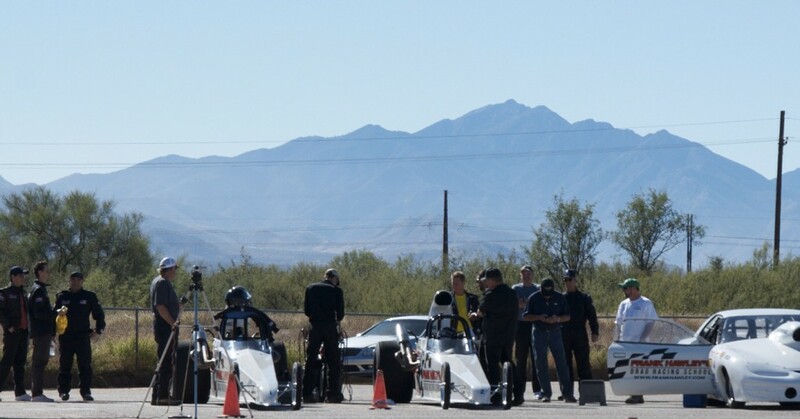 Check out all the great locations we’re holding both our 2-day Super Comp/Super Gas competition license class, as well as the Dragster Adventure in the next couple months!! In addition to our regular stops at Royal Purple Raceway in Houston (May 18-20) and Bandimere Speedway in Denver (June 1-3), this will be the first time we’ve ventured to Woodburn Dragstrip in the Pacific Northwest (June 8-10), as well as Route 66 Raceway near Chicago (June 30-July 2)! We’ll be holding our Alcohol Funny Car and Top Dragster classes in between our travels at our home base of Gainesville Raceway also. So, if you want to earn your competition license, improve your skills, crossgrade or upgrade your current license, entertain friends or employees – give us a call! Pre-registration is required in all programs and space is limited, so contact Paul Shields, pshields@frankhawley.com or Jeff Arend, jarend@frankhawley.com at 866-480-7223 for complete information on all our classes or to sign up! Visit our website for lots more class dates and locations too! There are still a few seats left in our popular 2-day Super Comp and Super Gas license course on April 13 & 14. 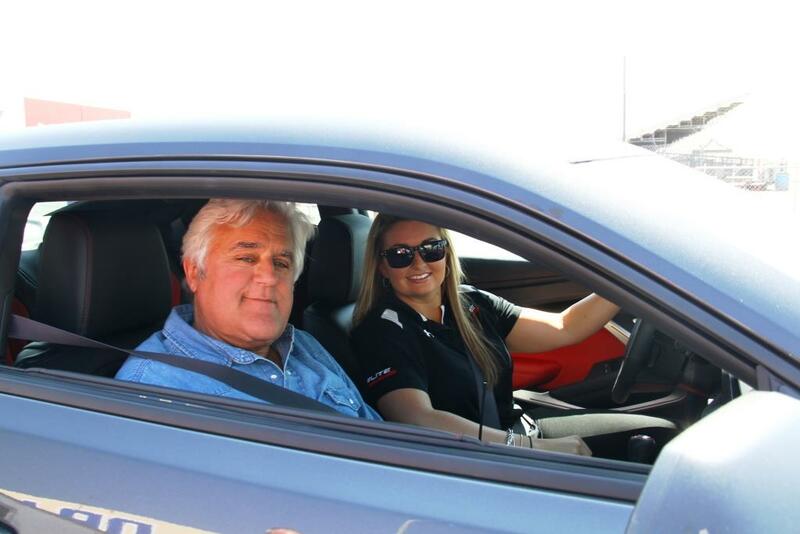 This 2-day course includes classroom, in-car and on-track instruction. Drivers will make progressively faster runs down the strip, enjoy video review of all runs and learn from Frank Hawley’s lectures on improving personal performance. 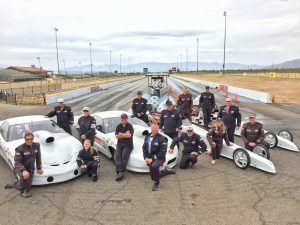 Those new to drag racing will learn basic techniques and procedures. Experienced racers will master the mental challenges that separate winners from losers. Contact us for more information or to register for this course. 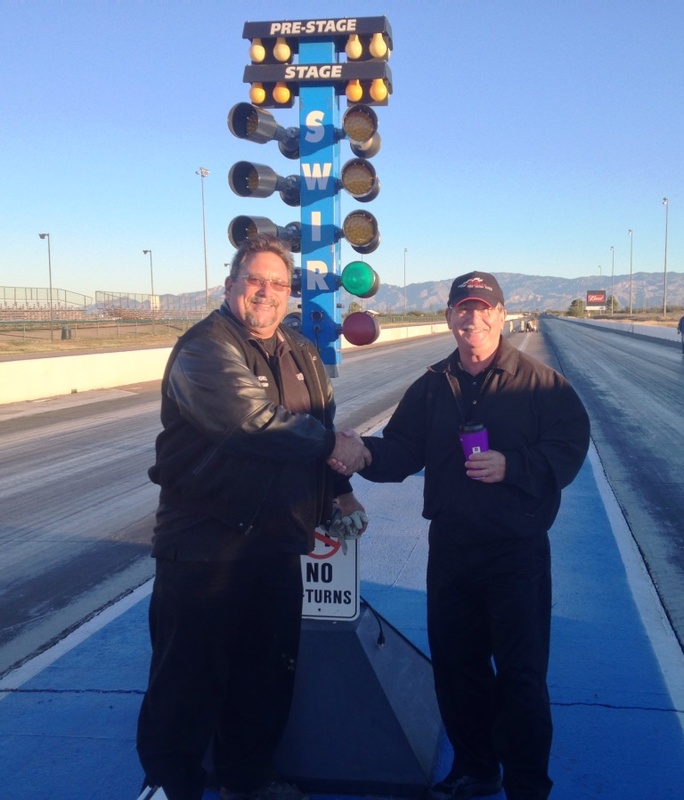 The Dragster Adventure and Dragster Adventure Challenge will be offered April 21st and April 22nd. 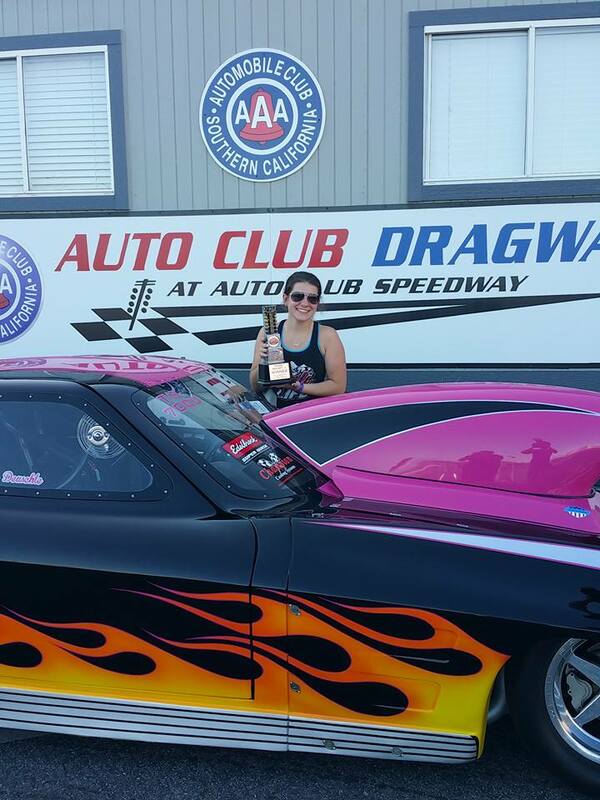 This course is for drivers that want to “drive a dragster” and compete in “side-by-Side” racing without committing the time and resources required to become a licensed race car driver in one of our licensing courses. This is a great program for you and your friends, your customers or your employees and Adventure grads tell us this is the most memorable day of their year! Click here to book this course on-line! 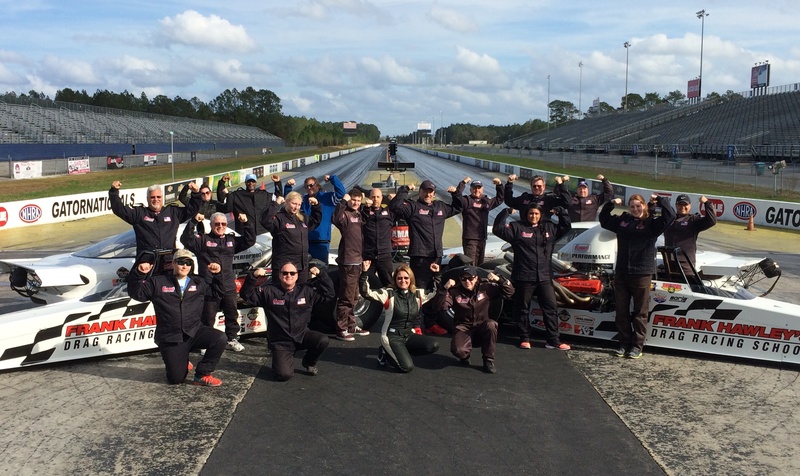 So whether you want to earn your license, improve your skills, check something off your “Bucket List”, or try the Dragster Adventure with Side-by-Side Racing, we hope you’ll join us for an experience you’ll remember forever! 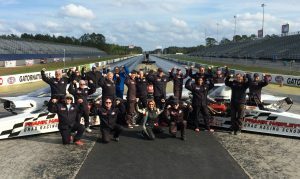 Oh, and in case you can’t make it in April, we’ll be back in October for the SC/SG license class and the Dragster Adventure! Please visit www.frankhawley.com for other class dates and locations! Remember, pre-registration is required for all programs, so call Paul or Jeff at 866-480-7223 for info or to sign up! 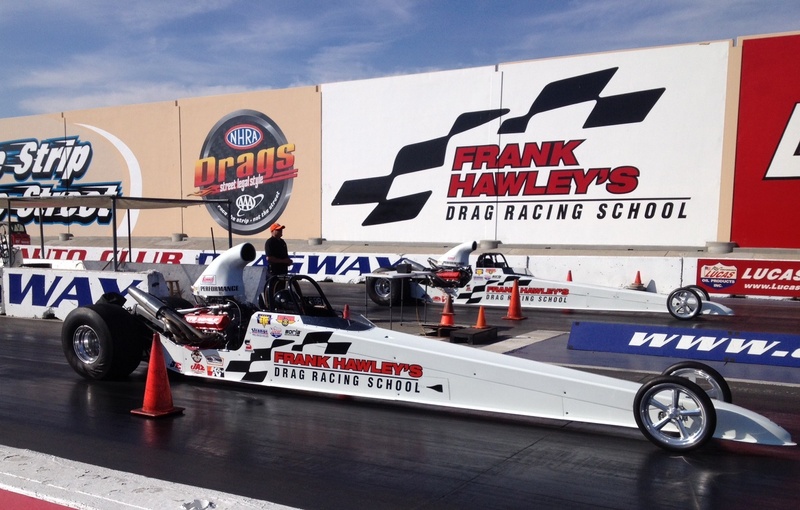 Frank Hawley’s Drag Racing School is making it’s second stop at the new Tucson Dragway on April 6-8 2016! “I had not seen Frank’s school in action before,” said Jim Hughes, the new owner of Tucson Dragway. “Their opera tion was flawless. Frank and his team are as good as it gets. I actually sat in on Frank’s lectures on Human Performance and I was blown away. 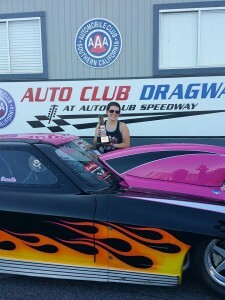 After 30 years of racing and many National event wins I still learned a lot. I think anyone, no matter how much experience they have could benefit from Frank’s lectures,” added Hughes. The school will be offering both the Super Comp and Super Gas Licensing courses as well as their amazingly popular Dragster Adventure Program. 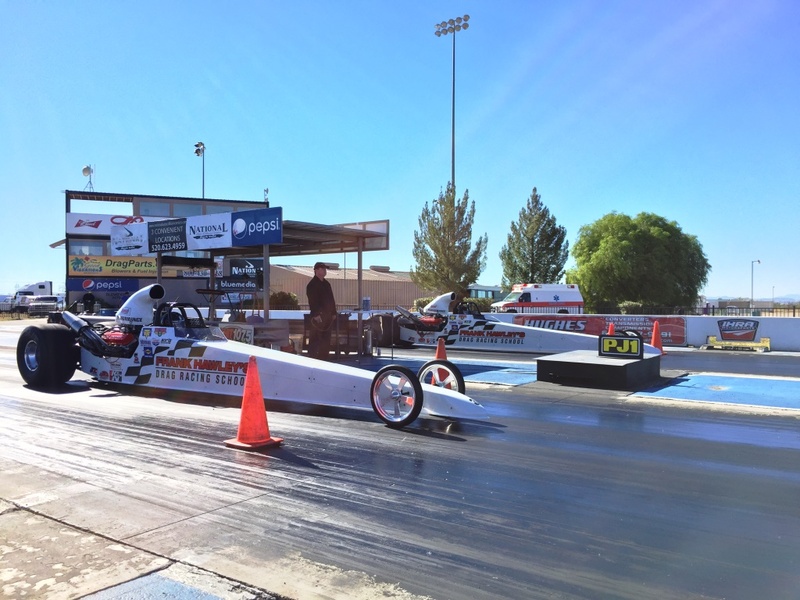 The Dragster Adventure Program offers drivers a chance to get behind the wheel of a dragster for as little as $399 and also give folks a chance to do some ‘side-by-side racing! If this sounds exciting, take a look at the school’s programs at frankhawley.com or call Paul or Jeff at 866-480-7223 for additional information. Remember, space is limited and pre-registration is required for all programs. So if your goal is to join the list of successful Hawley grads in one of the school’s world class Licensing Programs or just have a blast racing against your friends in one of the school’s Dragster Adventure Programs, 2016 will be your best opportunity ever! Go to FrankHawley.com or call 866-480-7223 for your ticket to excitement! Click here for our calendar of dates & locations. Remember, pre-registration is required at all of our classes. Contact Paul or Jeff with your questions or to book your class! 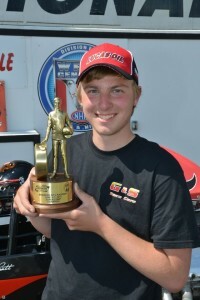 The RPM Association is the nation’s leading Pro Mod group featuring champion drivers like World Champ Troy Coughlin, Danny Rowe, Steve Matusek, Rickie Smith, and many more. 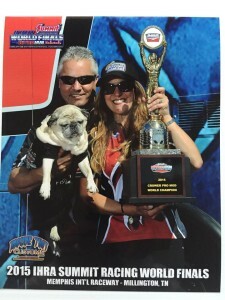 The Real Pro Mod cars and drivers produce some of the most exciting racing action in drag racing as they compete on the NHRA Mello Yellow series across the country. 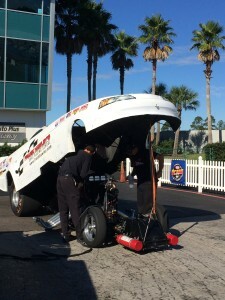 In February the group will be featured at Palm Beach International Raceway during the spring warm-up on February 26-28, 2016. The Pro Mods will be joined by Frank Hawley’s Drag Racing School, which will be offering one of their Dragster Adventures during the event. “This is something we’ve never done before” said school founder Frank Hawley. “We’ll be giving folks a chance to compete in one of our Dragster Adventures while the RPM race is taking place. Our students will be part of the action! This will be a 2-day event for our students. 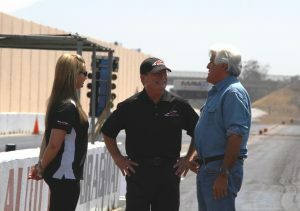 Our drivers will make their practice runs on February 26th and run their eliminations on February 27th. After their practice runs, our drivers will be able to watch the pro mods qualifying, walk the pits and meet the Pro Mod drivers! 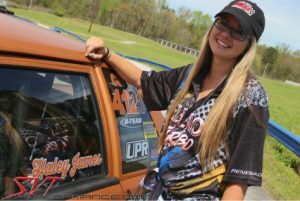 Getting to race in our Dragster Adventure and being a part of the Pro Mod event is an amazing opportunity!” said Hawley. 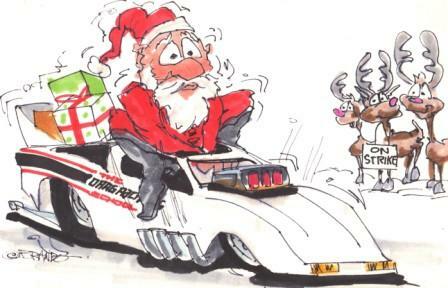 “This is a great gift idea for anyone attending the event, and no racing experience is necessary.” said Hawley. Scroll down to watch our new video on the Dragster Adventure Challenge! If you’ve already seen it, please share it with friends! 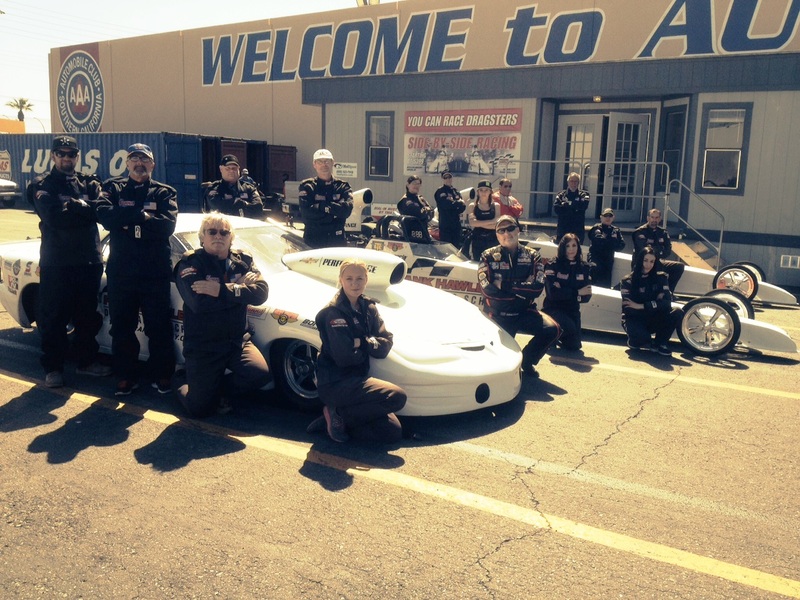 Experience the excitement and thrill of side-by-side racing in the Dragster Adventure program! Prices start at $399 and no racing experience is necessary. This is a great program for individuals, groups or company outings! Great gift idea, too! 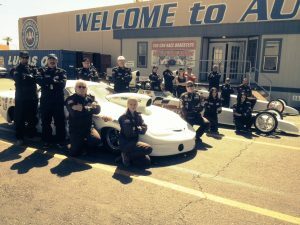 Attend one of our scheduled dates or we can design a special program for your group at your track! If you’re seeking higher speeds, advanced training and a competition racing license, try one of the School’s Competition Licensing Courses. Give us a call at 866-480-7223 and Paul Shields x102 or Jeff Arend x103 will be happy to answer any questions you may have. 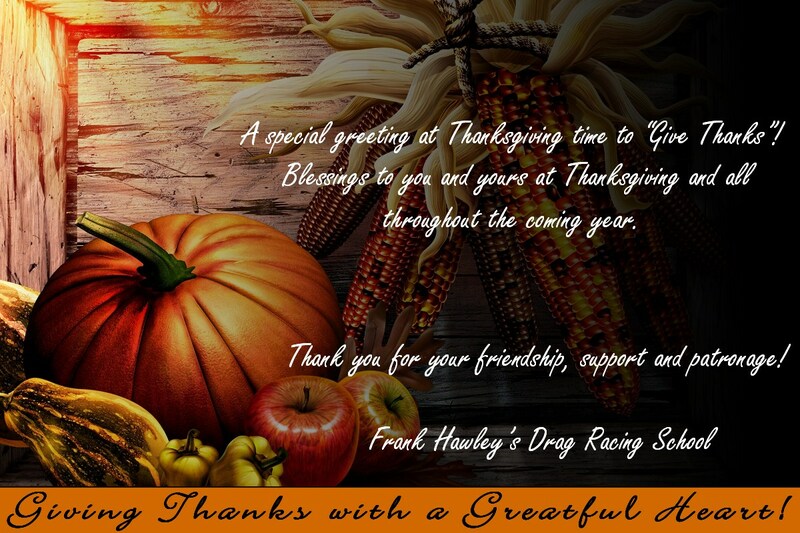 Please “like” Frank Hawley’s Drag Racing School on Facebook and keep up with us on Google +, Twitter and Instagram (Frankhawleydrs) too! The premiere episode of the brand new series, “Jay Leno’s Garage” debuts this coming Wednesday, October 7th on CNBC! 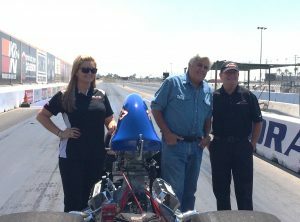 The show, which was filmed at the Auto Club Dragway in Fontana, CA, features Drag School founder Frank Hawley and NHRA Pro Stock champ Erica Enders helping Jay find the fast way to the finish line in a Super Comp dragster! “Frank and I really enjoyed the opportunity to work with Jay. 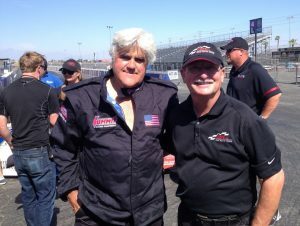 He’s a great guy and his love for cars matched ours. We had a lot of fun. I hope everyone watches the show.” said Erica. So how did Jay do behind the wheel? You’ll have to watch the show to find out! Remember…this Wednesday, October 7th, 10:00 pm EST on CNBC!